seriously E-hero is getting stronger and stronger as it receives more and more supports.Still remember about the post that i mentioned how Elemental hero flash works well with Elemental hero the shining?and now,we have a must-have card in the E-hero deck.Future fusion! 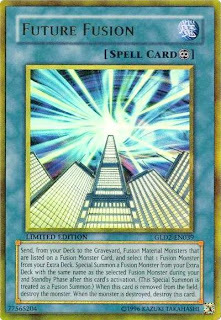 Effect: Send, from your deck to the graveyard, fusion material monster that are listed on a fusion monster card, and select that 1 fusion monster from your extra deck.Special summon a fusion monster from your extra deck with the same name as the selected fusion monster during your 2nd standby phase after this card's activation. (This special summon is treated as a fusion summon.) 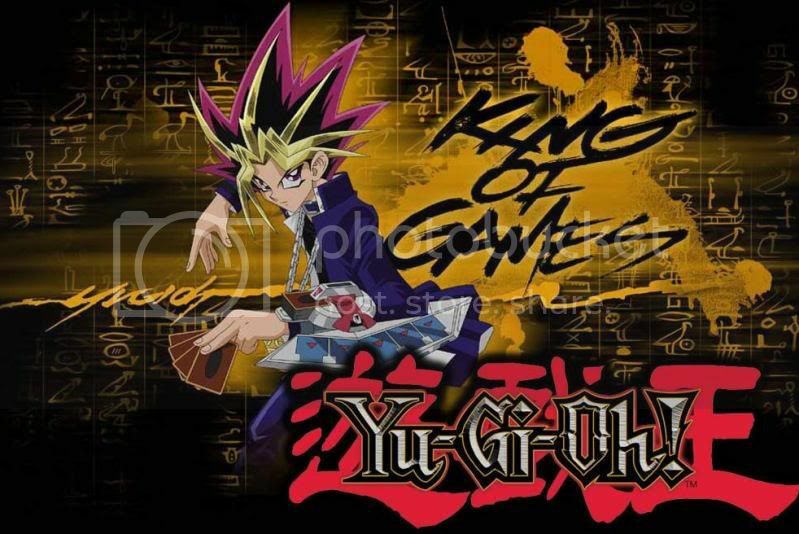 When this card is removed from the field, destroy the monster. When the monster is destroy, destroy this card. This card help you to fill your graveyard with e-heros,ready for action once you play miracle fusion. Complements your Elemental hero flash,since he requires 3 other elemental hero to be removed.this card aids by providing more materials for elemental hero flash. take back that parallel world fusion or miracle fusion and get them back into action again. the cute elemental hero ice edge is another support.reason being it is a "water" monster,so absolute zero comes to mind.helps by dumping your elemental hero into grave,again more material for elemental hero flash and clear that irritating backrow of your opponent simultaneously. Coming to think of it,elemental hero is really crazy,with the vast amount of supports.and that perfectly imba super polymerisation is pure ownage! Also,lets not forget about elemental hero prisma.the most expensive elemental hero card,i think. The more i think about,elemental hero,the more i feel that it works like a zombie deck.in the sense that it,too,relies on grave.it has an advantage though,it can "fusion" in grave compare to zombies being able to only synchro on field.more options and more versatile in the sense. The more i write about them,the more i feel that elemental hero flash is a great card.just bear with the little restriction(able to retrieve normal magic card). How i wish i can get that ultra elemental hero flash! the heros shall shine in time to come!